This blog is for all things related to geeks or that could relate to geeks. That means comics, video games, movies, music, sports, and anything else you can think of. Sports do not usually fall into those terms, but trust me, a guy who memorizes every statistic in the Baseball Almanac is a geek, just a different type. Also, as long as it is not defamitory, I thrive on difference of opinions and intelligent criticisms. So bring it on fellow geeks. Give Me Something to Break! All seems well at the moment on Utopia until Cyclops gets a message from Abigail Brand, agent of SWORD, that a Breakworld armada flagship has appeared on the edges of the solar system. Considering their previous dealings with the people of Breakworld and that Colossus is technically their Powerlord still, she figured they would be best suited to see exactly what that ship is up to. I could read Kieron Gillen written X-Men comics all day. The subtle humor inserted into each scene was a joy to read. Whether it was Namor and Colossus, Doctor Nemesis and Magneto, or Cyclops and Wolverine, the banter back and forth was a thing of beauty. And since this is the first issue of a new arc, Gillen made sure to make it action heavy in the front in order to use the rest of the comic to build up the plot of why exactly there is a Breakworld ship heading for Earth. Not to mention it is nice to see the Abigail Brand and the Breakworlders come back after a decent length hiatus as this is shaping up to be a pretty interesting story centering on Colossus. Also, I get that it is his catch phrase, but can we put a hold on the “Imperius Rex” stuff with Namor. It just comes off as cheesy for the king of the seas to have a catch phrase that doesn’t have any meaning. You want him to come off as regal and elite? Get rid of the catch phrase. The Thing and Wolverine have catch phrases. Namor doesn’t need one especially when it wastes several panels per comic usually where we get a close up of his smug face exclaiming it. This is looking like the launching point for a great story arc revolving around Colossus and it is good to see the Breakworlders returning to the comics. 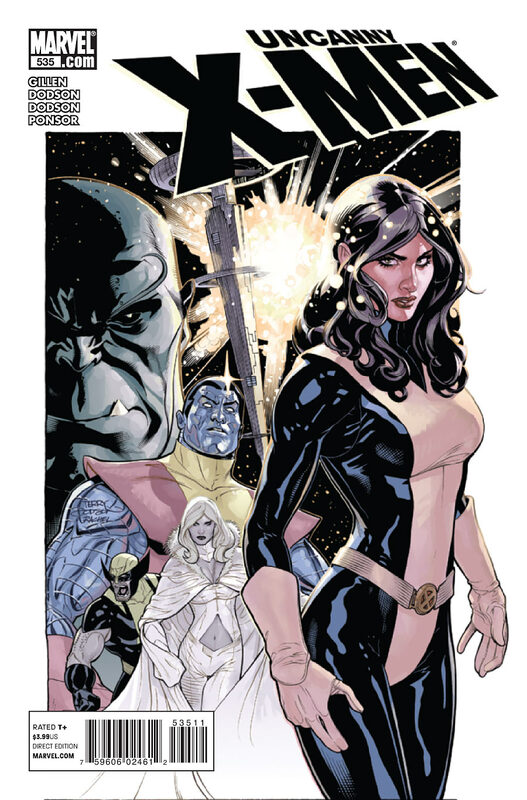 The dialogue is very well written and helps keep the comic light and enjoyable even though here go the X-Men saving the Earth from an unimaginable threat once again. I wish they would wrap up the entire Kitty Pryde intangibility problem though because it is just becoming redundant at this point. Aside from this, Uncanny X-Men #535 is a great read with a perfect balance of action and plot development. Add in this is the start of a new arc and it is a good time to get back into things if you’ve fallen off the X-wagon recently. One of the most compelling concepts of Fable III was the fact that you not only had to breath life into a revolution, but then serve as king (or queen) and try to make sure Albion flourished after completing your main quest. But what would happen if someone else tried to start a revolution to dethrone YOU? That’s the question that the new “Traitor’s Keep” DLC asks. Another one of your brother Logan’s nasty secrets rears its head when while going through your daily duties an assassin makes an attempt on your life right in the throne room! After dispatching the would be killer, you get word from some of your soldiers that an unknown ship is approaching the harbor. What you initially thought was another threat is revealed to be soldiers that are actually loyal to the crown aboard the ship and you uncover that Logan had a secret prison full of people who would not bend to his will. You decide to board the ship and inspect this keep full of political prisoners yourself and give a verdict on its fate. Unfortunately, upon your arrival to Ravenscar Keep you find there has been a massive prison break and realize that not all of the prisoners were there simply because of their politics. After quelling the riot, the keep’s commander brings to your attention that the three most nefarious prisoners kept at the keep are no longer in their cells and one of them had nothing on his mind beyond dissolving the crown for good. I hope you were itching for some action because you’ve got yourself a good old-fashioned manhunt on your hands now! The “Traitor’s Keep” DLC features three brand new locations for you to explore as you begin your search for the prisoners and learn just how deep the roots of your brother’s corruption go. From the keep itself to the brand new Clockwork Island, the home of the man who was in charge of Reaver Industries before Reaver’s infamous takeover, and the Godwin Estate, a private mansion on an island between Aurora and Albion, you’ll have your hands full as you explore these new areas under Albion rule and try to restore order before a new uprising begins to throw you off the throne. 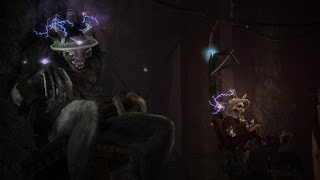 Clockwork Island will also introduce you to the new clockwork enemies, once peaceful creations that were supposed to help bring a new technological age to Albion, but now simply serve the twisted Inventor once again now that he has escaped his cell. 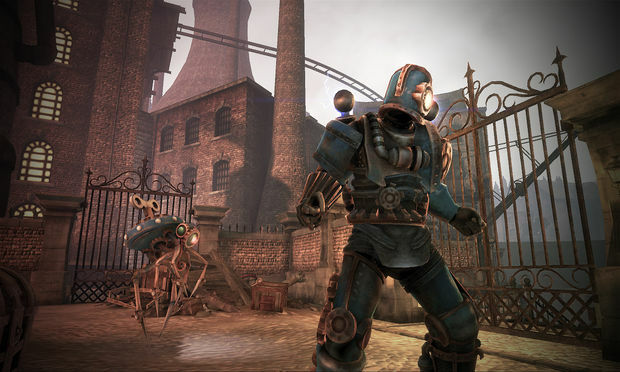 Godwin Estate will also see something unusual to diehards of Fable as Balverines, Hollow Men, and Hobbes all work together…and against you. Explore this now dilapidated plantation as you hunt down Witchcraft Mary, the former owner of the estate and practitioner of the dark arts to find out why. Along with four new quests and three new areas to explore, the “Traitor’s Keep” DLC also features two brand new costumes, the prisoner and Logan’s soldier outfit, as well as 10 new achievements for 250 Gamerscore, nine of which tie directly into the new DLC. 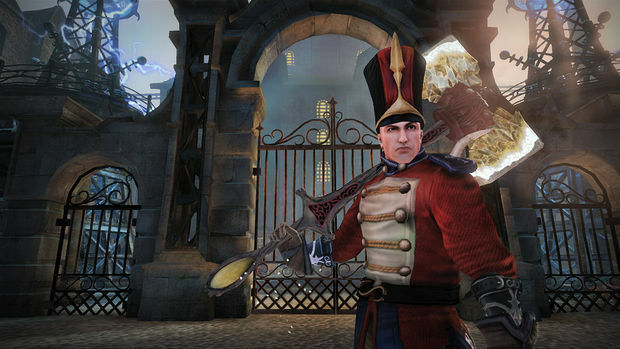 Although this extension of your Fable III adventure is well worth the price of 560 Microsoft points ($7) in terms of length, since it should take you four to five hours to find every item and beat every quest, the question you have to ask yourself is just how much of a fan you are of Fable III. If you weren’t a huge fan of the main game, then you probably won’t enjoy the DLC since it is a lot more of the same thing. The dialogue has that cheeky British humor still throughout and the combat is exactly the same, so the only new feature is that the world you were originally set in is now much larger than it was before. If you were a fan of Fable III though, then this DLC is more of the same quality RPG action that you got used to with the main game. Clearly, this is whom the DLC is tailored to. It won’t bring in any new fans, but with all these extra quests, costumes, and locales, pre-existing fans should be more than pleased after dropping their Microsoft points on this one. As a part of CGR Undertow, I reviewed Little Big Planet 2 for the PS3. As a part of CGR Undertow, I reviewed Eat Them! for the Playstation Network. As a part of CGR Undertow, I reviewed Marvel vs. Capcom 2 for the Xbox Live Arcade. I reviewed the NBA Jam remake from EA Sports for the Nintendo Wii as a part of CGR Undertow. As a part of CGR Undertow, I had a chance to talk to the developers of Luche Libre: AAA: Heroes del Ring before it's October release.